And my newly adopted babies were released to me. What? You can't see them very well? Well what did you expect? I found them on the curbside, people, and they look like crap! Give me some time. And I am not happy. After dropping my daughter off at gymnastics yesterday, I spotted two vintage metal store displays along the curbside and tossed them in my van while enroute to the car repair shop. (Our van's air conditioning went on the fritz.) Let me tell you these shelves are such a cool vintage blue color and have awesome graphics! Ever since loading up my finds, I have been thinking nonstop how best to use them! I just received a phone call moments ago from the dealership stating the A/C repairs won't be complete until tomorrow! Ack! Therefore, my amazing curbside finds remain trapped...inside the van...inside the shop...for yet another day. Excuse me. I think I need a moment. Gutter guards. A very useful tool for homeowners when they are in their prime. (The gutter guard, that is, not the homeowner.) Here is just one way to use all those rusty, metal pieces that some people deem junk. And thank goodness they do! Could I get any more kooky than using an old gutter guard for home decor? Let me know what crazy things you've come up with using "unique" junk! I must confess. I get a bit giddy whenever I see my name somewhere...maybe it stems from childhood. All of my friends had "normal" names like Jennifer, Amy and Melissa. We'd go on field trips for school or Girl Scouts and while there, would enter the doors of gift shops, always in search of the most impressive of souvenirs. Keychains. Not just any keychains, but ones with our names on them. Amy always seemed to find hers first, most likely since her name was at the beginning of the alphabet and pretty easy to spot. Melissa snatched hers up pretty quickly too. But I was most envious of Jennifer. Jennifer always had a choice to make. Hmmm...she'd say "should I pick Jennifer, Jenny or Jen?" Then came my turn. Candy. My friends were always nice and helped look for my name, periodically squealing "I found CandACE!" Unfortunately, I'd have to say "but I'm a CandICE". The rack could only spin around so many times before I resigned to buying yet another Cool! or Cute Girl keychain. So, although the ridiculous thrill I feel whenever I see my name could stem from childhood, it cannot be proven. I suppose it's as good of an excuse as any. 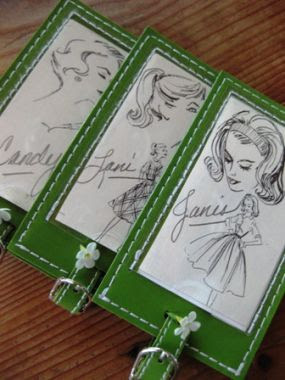 Go to JUNKMARKET Style to check out Sue's fabulous Projects from the Pages of a Book and allow her to inspire. Well, howdy-do friends! I hope you are enjoying your Monday! It's been a good day for me, I suppose. Mainly because I have a new header for my blog! Woot! Woot! It all started when I saw that Amy over at Whisperwood Cottage updated her blog header with a fresh new look. Jealous that I was, I knew I needed a change as well. The problem was, I'm not as savvy as many of you bloggers out there with this computer techie stuff, so I had to find something pretty simple that even I could handle. Enter Vanessa with V and Co. She provided exactly the answer I was looking for by recommending a site that makes mosaic headers. Yippee ki-yay! And, yes, even I could do it! A big thanks to Amy and Vanessa for the inspiration! Now how do you think my little junky header turned out? 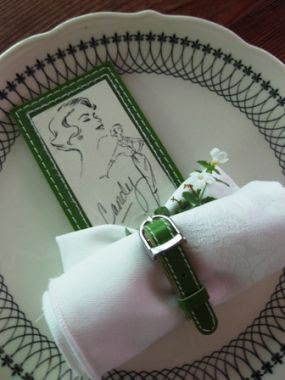 Junkologie Blog Party and Book Signing by Junk Beautiful Outdoor Edition Author Sue Whitney! Yes! You heard it right! 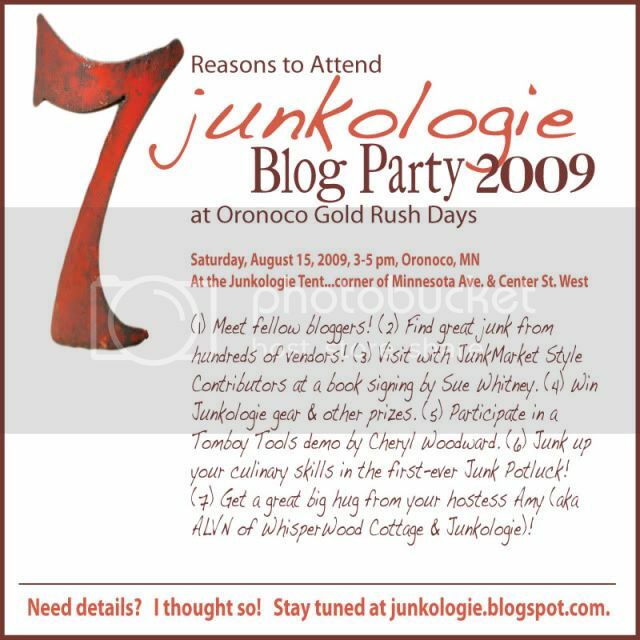 ALVN with Junkologie and WhisperWood Cottage is hosting a blog party at her booth during one of the Midwest's finest shows, Gold Rush Days in downtown Oronoco, Minnesota! I'll be traveling all the way from the Buckeye State along with fellow JUNKMARKET Style contributor, Kathy Stantz, from Sylvia's Vintage Daughter in my trusty Town and Country. We'll take full advantage of the van's Stow n' Go feature to allow room for all the junk we bring back to Ohio. BIG Minnesota junk! 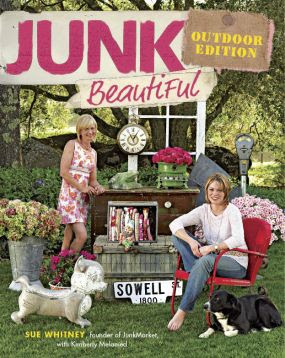 Junk Beautiful Outdoor Edition author, Sue Whitney, will be at ALVN's booth for her book signing along with Kimberly Melamed. You'll also get to trade junk tales with the contributors of JUNKMARKET Style! Good stuff! And best of all, you don't have to be a blogger to enjoy the fun! Any questions? Just ask! Good Friends - Good Food - Good Junk - Let's Meet! Once we arrived at my parents' house, we immediately got on the trail headed toward the storage shed that my dad and I were going to root through and clean out. This cute little birdhouse greeted us along the way. Thirsty? We're in the country people! Now this is Bubba, one of three cats mom and dad own. At only two years old the trio are as frisky and playful as ever! Just a little scared of my kids...but hey, who wouldn't be? Frankie knows just how to pass the day. Introducing the storage shed we were up against. This is just one corner we dealt with but I was as excited as ever to see what I could find. Until snakes came into the picture. You gotta know my 80-year-old Uncle to really get his humor. Here he is making sure everyone understands what this area is used for. "Actung(sic.) This is a storage bldg and hobby shop." Okay, folks. Meet my Dad. We quickly discovered a few mice nests in the shed but never saw one mouse. Hmmmm. Wonder why?? The story begins when my dad offered me some very nice coarse granite colored sandpaper he had on a large roll that was laying on the ground. He picked it up to unwind, had it up toward his face, and a snake was looking right back at him. It freaked my dad out so badly, in his haste to toss it as far away from himself as possible, he threw it directly at me! I mean AT me! Heehee! He felt bad and apologized, however, I unintentially got him back. About 20 minutes later, I spotted metal tool box I had my eye on from a previous visit. Not thinking, I just picked it up and opened it and what should I find? None other than another freakin' snake! I throw the darn box away from me as far as possible and guess who's standing where it's headed? My dad! Oops! We both got a good chuckle out of it and now knew why we never saw a mouse in that shed. I had to share with you the ingenious rake my Dad made for clearing away a camp site years ago. 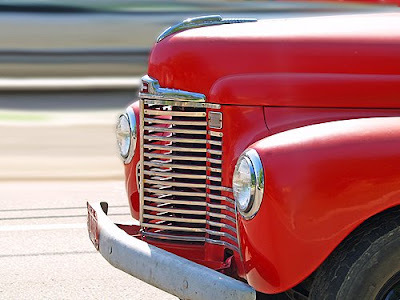 He is a carpenter by trade, so he always had tools and leftover wood pieces in his truck. He made this rake to clear the brush and even out the ground. He showed me how it worked and it really did the trick! Nice work, Dad! A close-up shows it would make for a nice weapon against wild beasts if necessary. The girls and I enjoyed our trip tremendously and look forward to going back in about three weeks. I've always appreciated my mom and dad's generosity even when they don't have much themselves. As a matter of fact, my Dad is the KING of Generosity. Seriously. This is the loot I ended up with back home. Projects are already in the works! Oh, and as for me mentioning cherries in the title. They are my mom's favorite and she was thrilled that I brought some to her. Most stores in her area don't even carry them. Go figure. So what kind of rodents have you come across in your junk jaunts? Heehee.